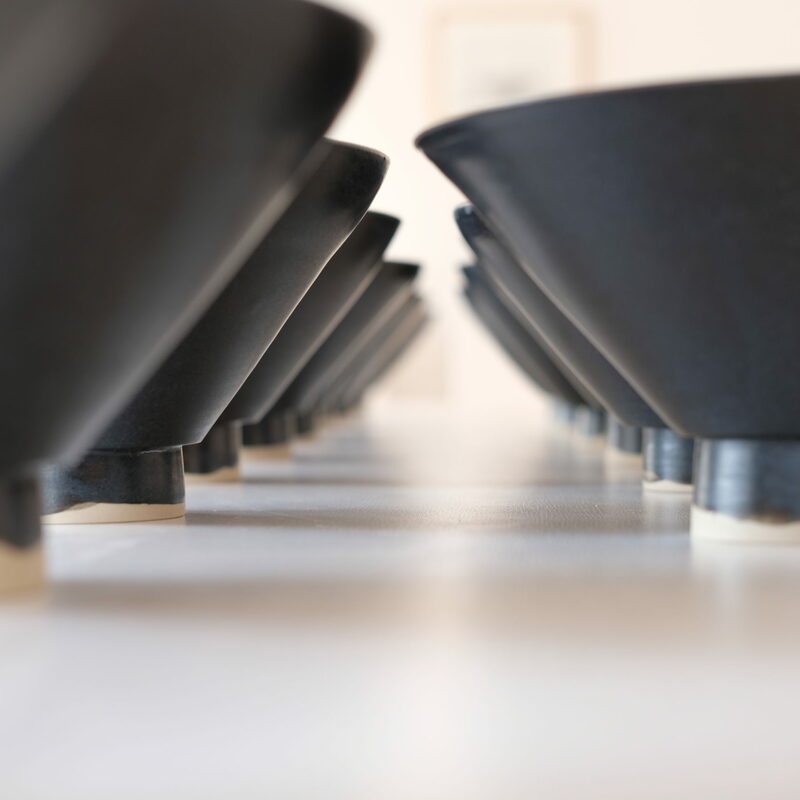 Sai has an asian restaurant in French Switzerland and she asked me to make the dishes: We started with forty bowls for ramen and sixty cups for coffee – more will follow. 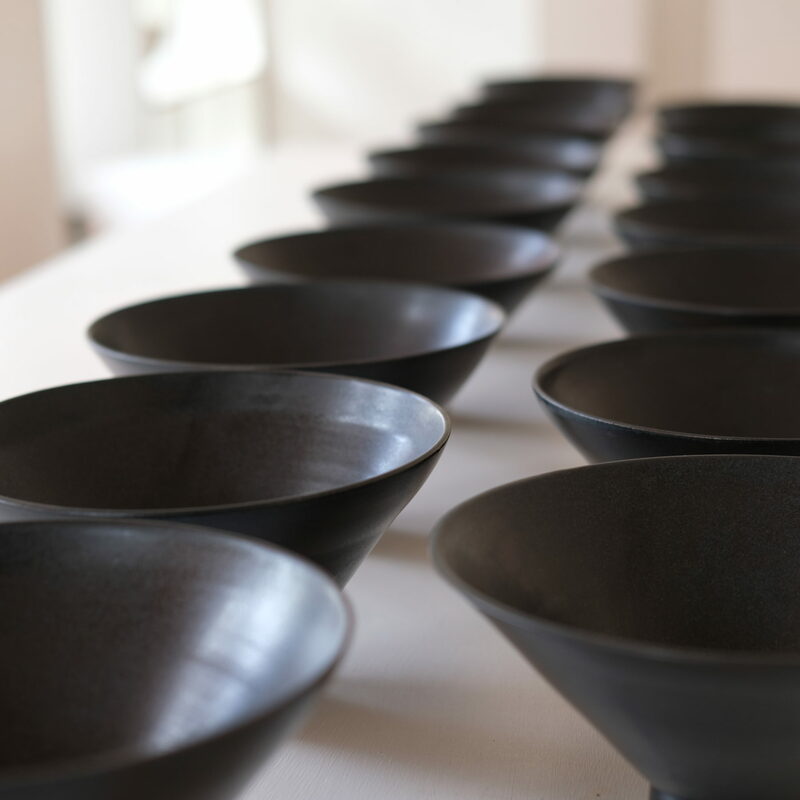 All pieces are hand thrown and coated with different matte glazes, from black to pastel colors. Brilliant! 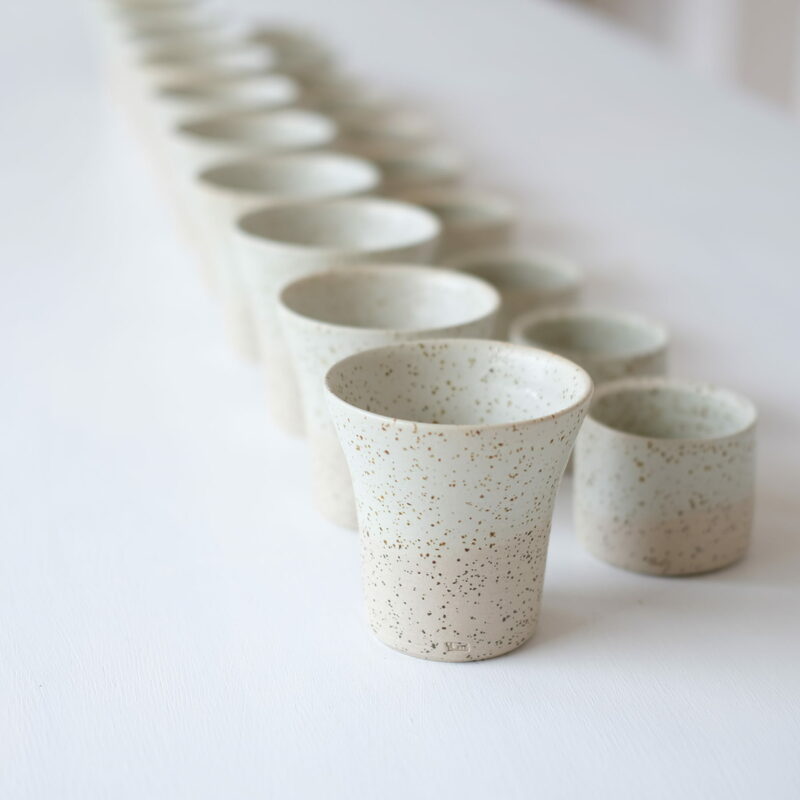 And the coffee cups: All hand thrown in a speckled stoneware clay and coated with a matte light green glaze – two sizes for two different coffee! More will follow…..